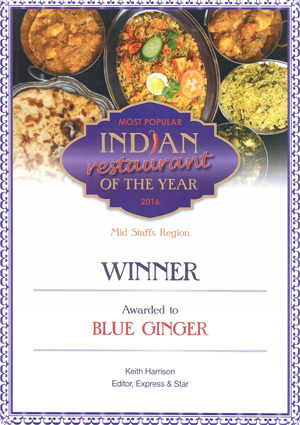 We are a family run Indian restaurant in the heart of Huntington, Cannock. We have recently finished extensive restaurant refurbishment in order to offer the absolute best experience for all our customers. Capable of seating any size booking we offer spacious seating and a large car park at the front of the building so you can be sure we can always accomodate. We have a number of highly trained waiters and offer only the best quality of food. All meals can be cooked to special order so if you're not a large fan of spice that is not a problem! All food is freshly prepared using only the best ingredients by our chef offering any number of custom dishes you may desire - this allows us to prepare dishes that are not on our menu given prior notice of the request, and allows us to offer a number of special dishes created by our chef to create new and exciting blends of food that you can not find anywhere else!